Here is a link to their Facebook. 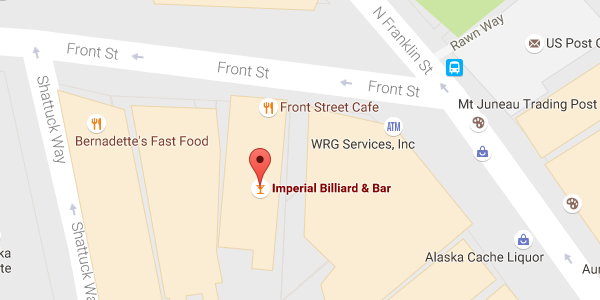 The Imperial Saloon, officially known as The Imperial Billiards and Bar, is the oldest bar in Juneau, Alaska, established in 1891. This is an absolute must visit and a favorite of the locals. There is plenty of space on the large long bar. There is also plenty of tables with seating. With a dozen taps and full bar, you will be able to find your drink, whatever it might be. The bar offers a variety of excellent drinks, especially beer. They offer free popcorn with purchase of a drink. The staff is consistently friendly. For the sports enthusiasts, there are plenty of TVs on which to watch your team play. They have a pool table for a quick game. You can even get a quick game of ping pong in too while enjoy a nice cold beer. 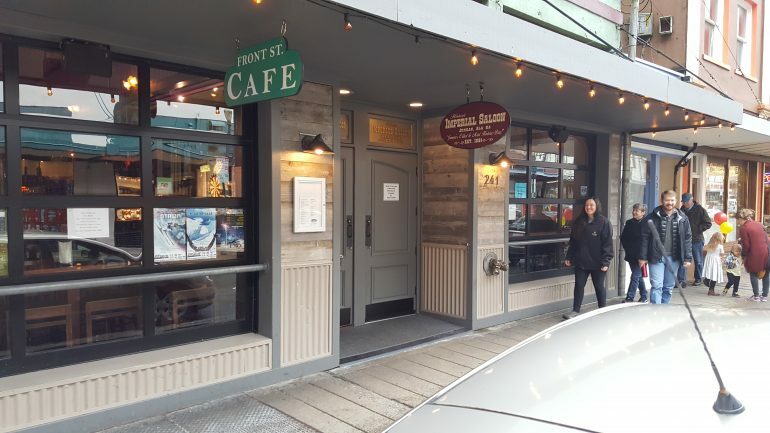 For a great meal there is the Front Street Cafe. They have the latest food available in town. If you are at the Imperial on a Wednesday you can catch a game of trivia for some prizes. I have been told that on Friday and Saturday night it is the go to place in Juneau. Imperial opens up the dance floor and provides a DJ to rock you until closing. One of the best drinking buddies in the bar. He always listens and never says much. He is always there for you. 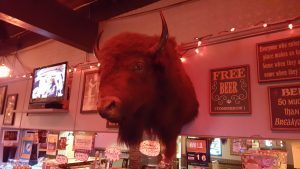 There is a large group of downtown employees who always pay a visit to the bar on the way home. So things pick up around 4pm. Not to mention that on Fridays things fill up fast for end of the work week celebrations. I like that the Imperial has the Front Street Cafe.